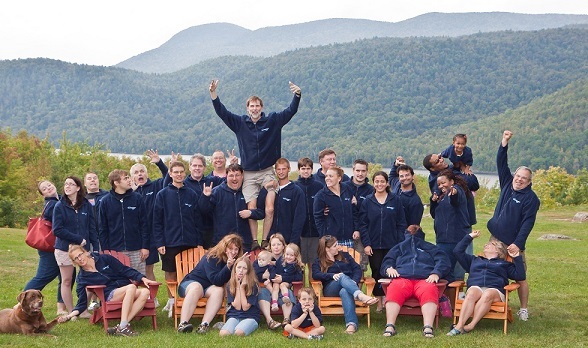 Located in the heart of the mountains, discover our venue for Adirondack corporate retreats, where serious work can take place in a spectacular setting. Garnet Hill Lodge, a true four-season destination resort, is a unique resort meeting facility away from the interruptions and distractions of city life. At Garnet Hill we know that successful meetings depend on having comfortable, relaxed surroundings and team focus. Your corporate group will enjoy unparalleled access to outdoor activities while setting new goals, team building, or reviewing a successful year. 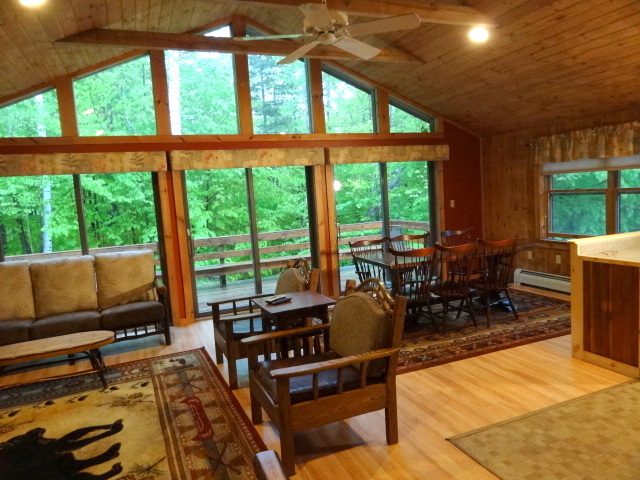 Built in the tradition of the Adirondack Great Camps, Garnet Hill Lodge is a beautiful campus overlooking pristine Thirteenth Lake, surrounded by the forests and scenery of the majestic Adirondack Mountains. Garnet Hill is well equipped with printers, fax, copy, audio-visual and computer equipment. You will experience our fine continental cuisine including “heart healthy” and vegetarian dishes. Our basic conference rates can be tailored to meet any budget. These rates can include: overnight accommodations, up to three meals per day, meeting rooms with audio visual equipment, meeting breaks with refreshments and all recreational facilities located on the Garnet Hill property. Team building can be included by arrangement. Garnet Hill can also host your event, day meeting or seminar. These meetings can take with a special flavor with our spectacular scenery and the unique recreational environment at Garnet Hill Lodge. 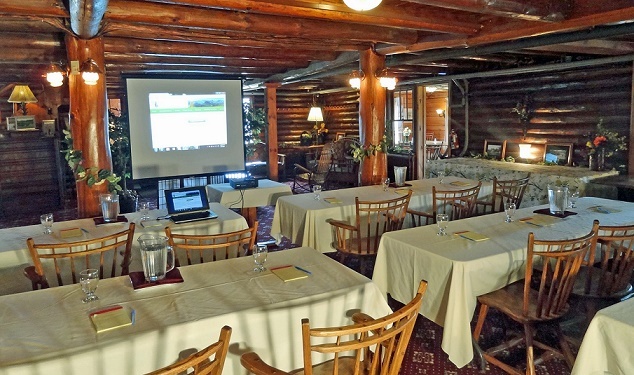 Meeting facilities are available in the main Log House, or for those wanting a more secluded location, the meeting room in The Birches building located approximately 100 yards from the Log House. If you have any questions or would like any additional conference or meeting information, please call us at 518 251 2444 or email us at groupsales@garnet-hill.com. We look forward to hearing from you and working with you. Primary meeting space with seating for up to 80 people and equipped with AV equipment. Sixteen guest rooms, the front nine rooms have balconies with a lake and mountain view. Perched in a grove of beautiful birch trees, this guest room building is approximately one hundred yards from the Log House. Spacious new meeting room with seating up to twenty. Outdoor deck for meeting breaks, and a beautiful forest view. The Tea House is located approximately two hundred yards from the Log House and is our newest and most contemporary accommodation. Four well appointed guest rooms, each with whirlpool bathtubs. A more informal meeting area, the Outdoor Center is located at the head of our trail system, has capacity for up to 35 people and serves as a great venue for team building sessions and recreational activities. Team building is an ongoing process designed to help groups work as a cohesive unit. Ideally team members share expectations for accomplishing group tasks, and trust and support one another while respecting individual differences. Good team building activities foster cohesiveness and productivity. Like any individual, a team has a life of its own that you have to regularly nurture and maintain. Good team-building activities help unite employees around common goals and generate greater productivity. Without them a unified team, an organization is limited to the progress and effort each individual can make alone. 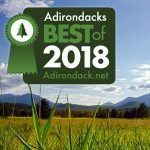 30 miles of hiking trails with direct access to Adirondack Park wilderness areas. Mountain biking on trail system with both single and double track trails. Destination hikes to abandoned garnet mine and other local attractions. Swimming in pristine Thirteenth Lake. Canoeing or kayaking on Thirteenth Lake. Whitewater rafting in nearby Hudson River. Numerous mountain climbing trails to choose from offering all levels of difficulty. Campfires on the lawn overlooking the lake in the evenings. Call us at 518-251-2444 and or contact us below to customize a plan for your event.